Today in History–September 17–the Library of Congress features the U.S. Constitution. 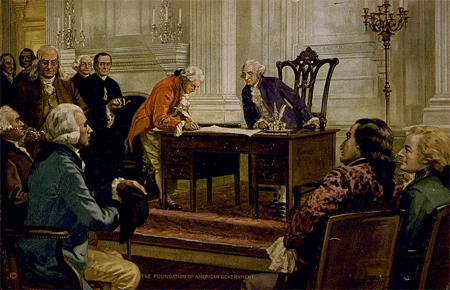 After much debate and compromise, the members of the Constitutional Convention signed the final draft of the Constitution on this day in 1787. It would take just over nine months to ratify this document that would become the supreme law of the land. Learn more by visiting the Today in History section and by delving into the extensive list of U.S. Constitution teaching resources & primary sources.